Good morning, Friends! 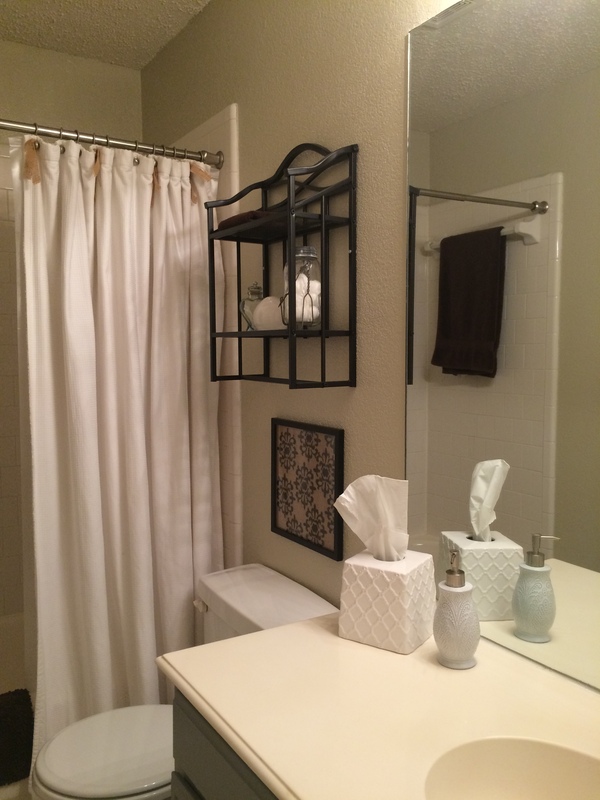 Thanks for stopping by the blog today to read all about our guest bathroom makeover. 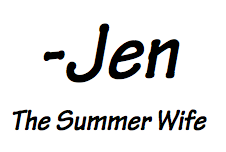 Your visits mean so much to me! When we moved into our house our guest bathroom had a few up-to-date features such as a new faucet and the tub/shower had been spray painted white. The rest of the bathroom was 90s, all the way. Now I am a definite 90s girl and I love my 90s Pandora station when working out, but 90s in my bathrooms is not going to fly. 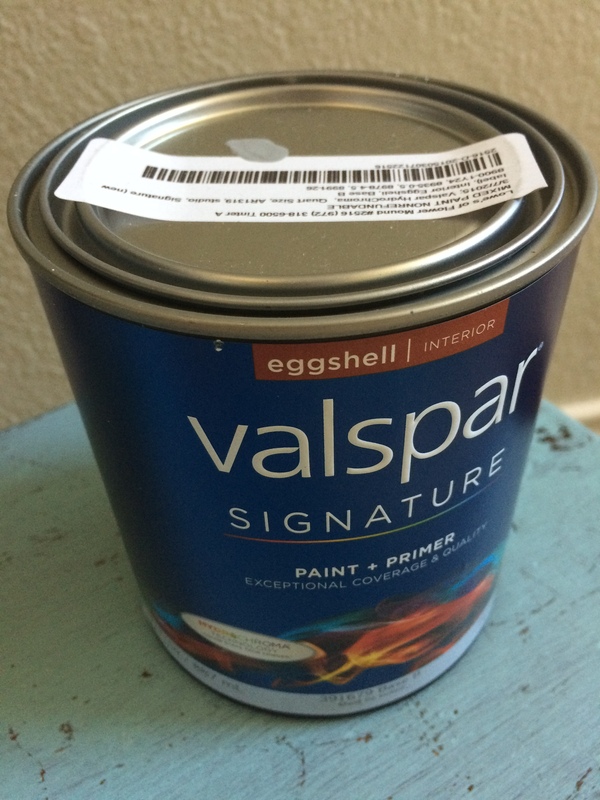 One easy way to update a dated bathroom is with paint. I unscrewed the doors from the base for easier painting access. 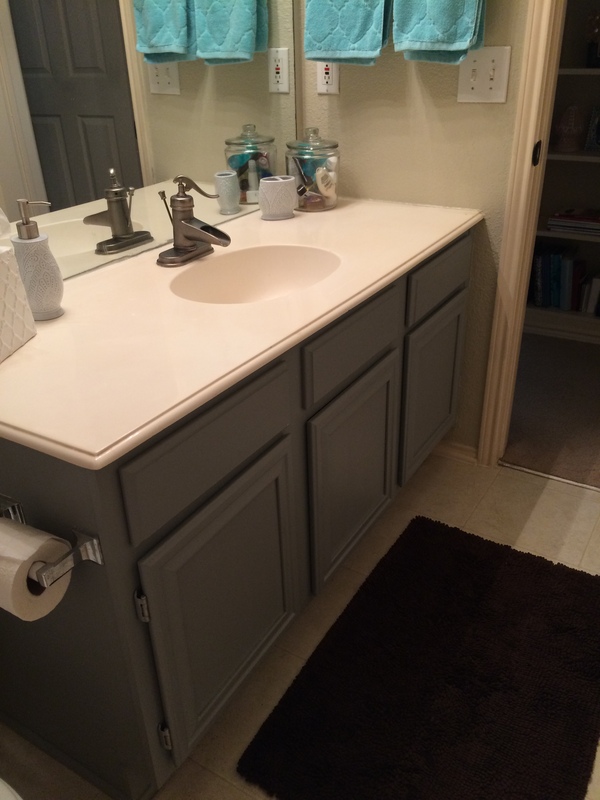 The finished product really makes the rest of the white in the bathroom pop! I also used Rub and Buff on the door hinges and light fixture. 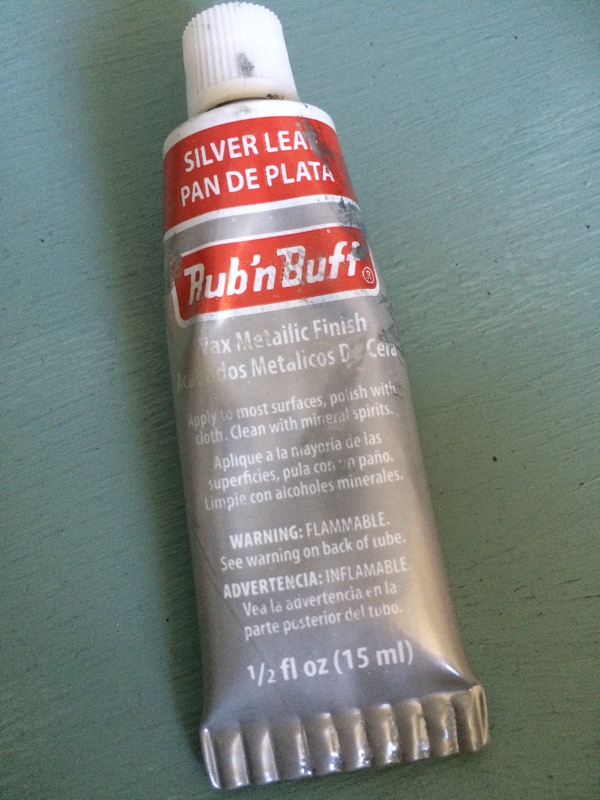 If you have not used Rub and Buff it’s a paint-like, faux metallic finish that comes in a little tiny tube that paints over most dated metals. Rub and Buff is very affordable (around $2-3 dollars at Michaels). A more cost effective updating technique if you’re not quite ready to spend the money on a new fixture. 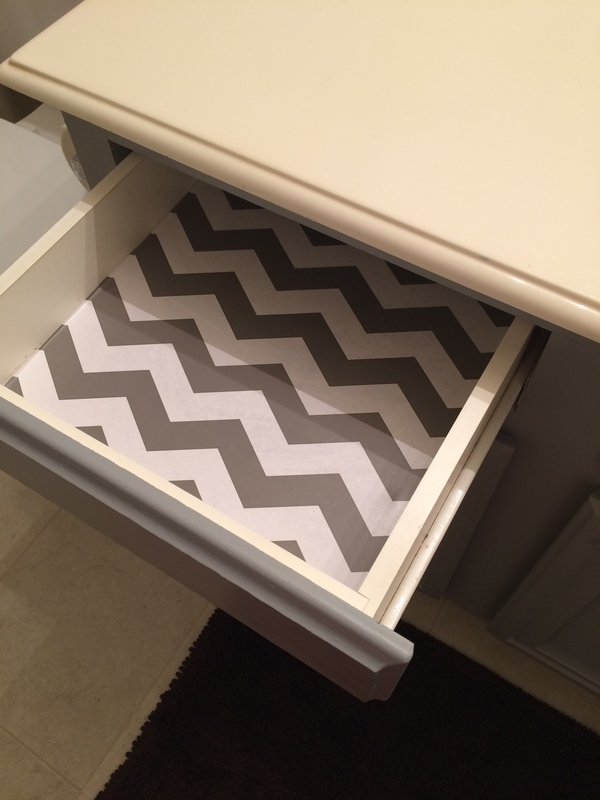 There was oh-so-cute, sunflower 90s drawer liners and although my 3rd grade sunflower-lovin’ self was semi-excited, I decided to replace the drawer liners with gray and white chevron. 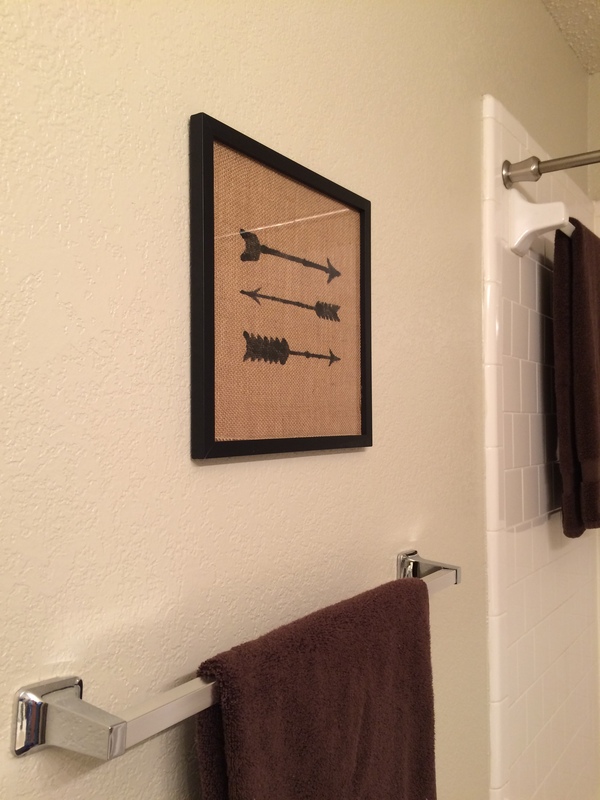 I purchased frames and stencils from Hobby Lobby for $12 each and cut burlap to fit each frame. This easy, bathroom DIY project will be featured on the blog soon! 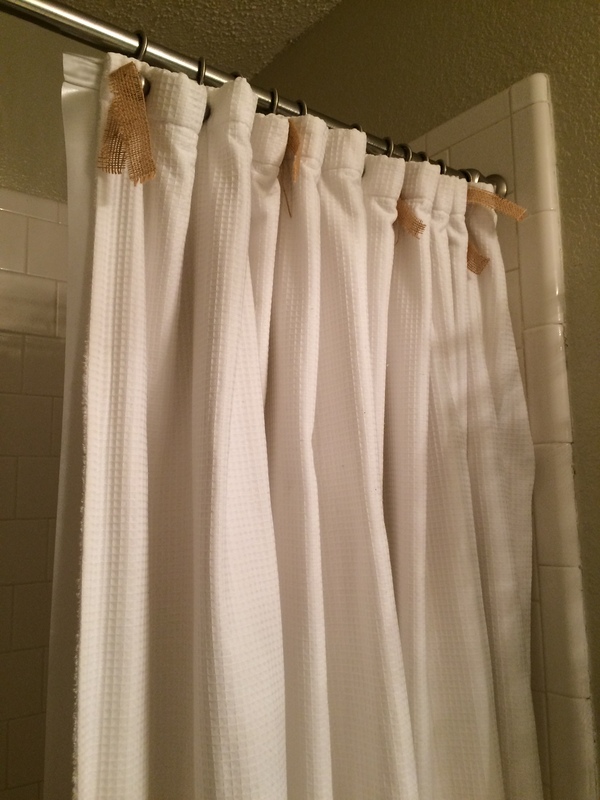 I cut burlap strips for the shower curtain rings to “tie” it all together! The guest bathroom is upstairs and does not have an outdoor/window light source. Pictures quality may be a little dark or have shadows. Thanks for understanding! Our guest bathroom is still a work in progress. 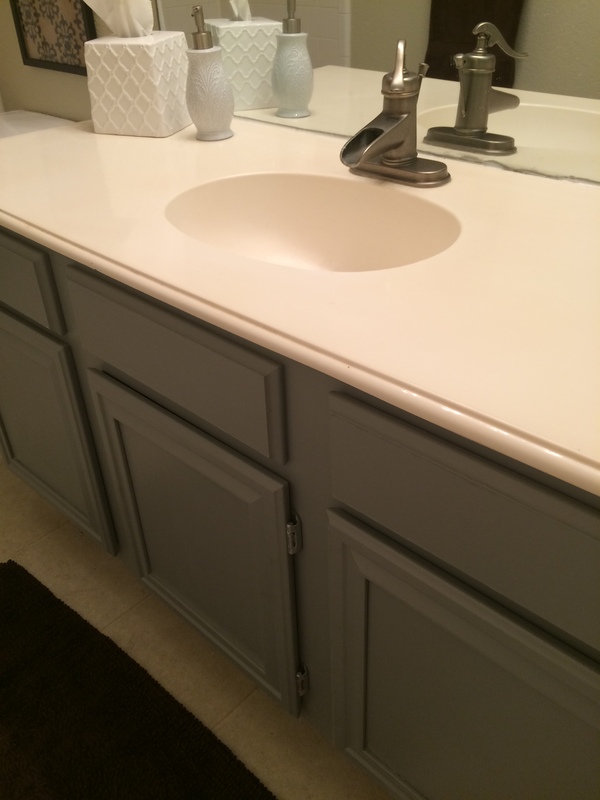 Eventually I would love to put in new flooring, frame out the mirror, purchase a new light fixture and replace the vanity counter. But for now we are happy our guests have a place to feel clean and welcome in our home!